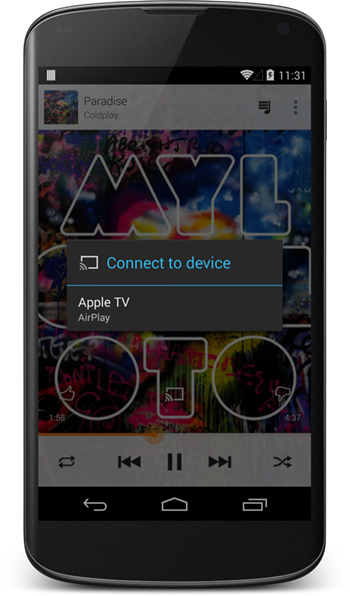 The doubleTwist developers have introduced the ability to stream Google Play Music to AirPlay devices using MagicPlay, their own personal means of streaming music from Android to an AppleTV or AirPlay-compatible speakers. The process taps into the same API that Google uses to stream to the Chromecast and that which Sonos uses for Google Play Music to stream to its devices. Unfortunately, there's a catch. According to doubleTwist's blog post, the Google Play Music app filters out plugins other than those used for the Nexus Q and Sonos. 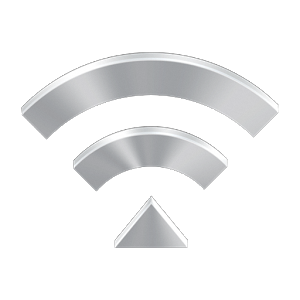 To get around this, you need a rooted device. Here are the steps doubleTwist has provided to get you up and running. *Note that occasionally you may need to redo step #3 due to Google redownloading the whitelist. 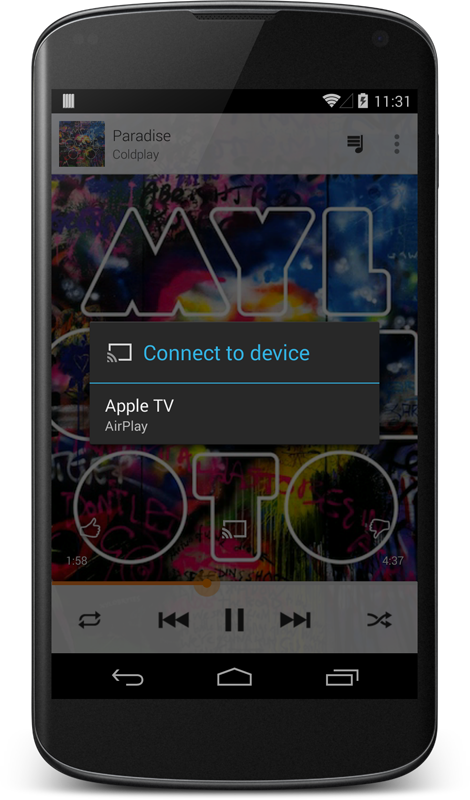 MagicPlay costs $2.99 and requires the doubleTwist Music Player to work. You can find links to everything below.